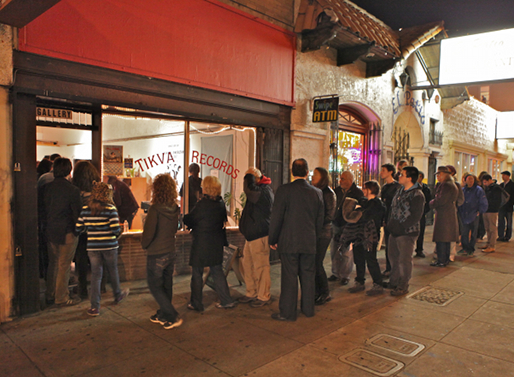 Thanks to everyone who came out to Tikva Records in December and helped make the store such an amazing success. We had 25,000 Jewish music enthusiasts pack into the store over four weeks to share stories, listen to music both familiar and new, meet new friends, and hear the unique performances from the likes of Steve Berlin scoring a silent Yiddish film to members of Dengue Fever to Fool’s Gold. Stay tuned for upcoming video and audio from Tikva Records, “the world’s first 1950s Jewish Pop-Up Record Store”.